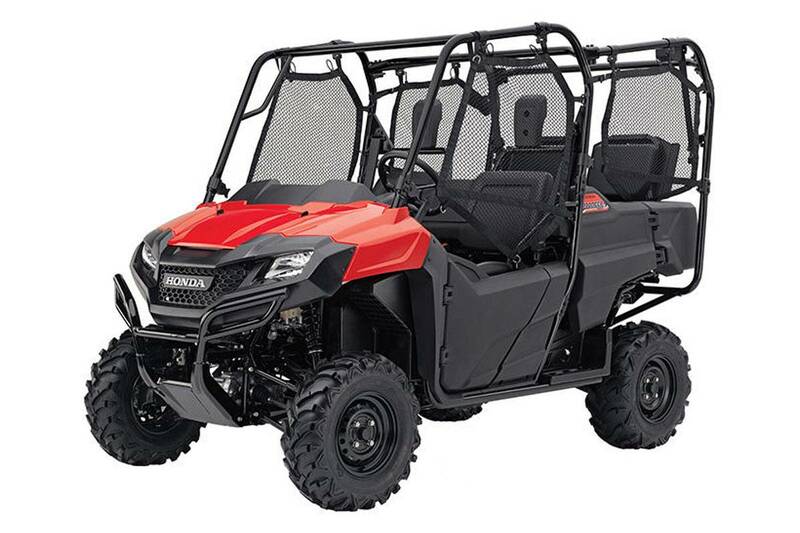 At the heart of this capable vehicle is Honda’s 675cc, liquid-cooled, four-stroke, single-cylinder engine that has lots of torque and plenty of power. In contrast to a belt drive system, the automotive-style Honda Automatic Transmission, with a heavy-duty torque converter and three hydraulic clutches provides positive engine braking. These features together with a two-stage shift map optimise the power delivery throughout the engine's rev range. With the ability to be used as a two-seat, three-seat or four-seat Side-by-Side, the rear seats can be quickly and easily folded away so the complete bed space with hydraulically-assisted tilt function can be fully utilised. 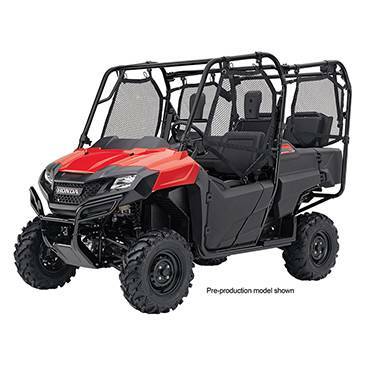 Features several well thought out details like a standard water-resistant glovebox door, easy to read dash and patented strut system for the folding seats in the four-seat version.